Built on the open source foundation of OSSEC, Atomicorp offers comprehensive host intrusion detection, attack protection and compliance all in a single unified platform that runs anywhere. The most widely used, comprehensive, open source, host-based intrusion detection system in the world. OSSEC provides various types of monitoring, log analysis, file integrity monitoring, alert notification and active response. OSSEC integrates with SIEM solutions for insight into security events. A commercial version of OSSEC that is ready for enterprise deployments with full support and regular upgrades, compliance reporting, advanced file integrity monitoring (FIM), and an OSSEC GUI for ease of use. A workload protection platform that shields workloads from vulnerabilities regardless of where they are running; in a cloud workload, a data center workload or in a hybrid workload. 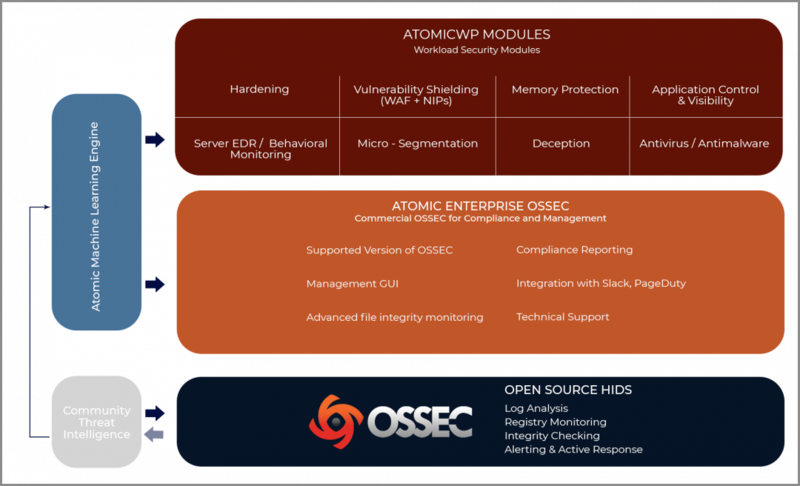 Building on Atomic Enterprise OSSEC, AtomicWP extends that solution with a series of modules adding flexibility to tailor the solution to fit an organization’s specific needs. 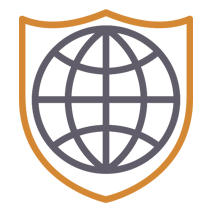 ModSecurity is the industry standard for web application firewalls (WAFs). But without rules, ModSecurity cannot protect your applications. Atomicorp offers the world’s most comprehensive set of ModSecurity WAF rules with hundreds of rules to protect against SQL injection attacks, cross-site scripting, protocol abuse, web spam, unicode a UTF-8 attacks and more much. By collecting global threat intelligence from the hundreds of thousands of OSSEC users, Atomicorp provides customers with an extraordinary community threat intelligence feed that no organization can match. Whether you are using Atomic Enterprise OSSEC or AtomicWP, Atomicorp makes this highly valued threat intelligence available at no additional cost.